Caption slip reads: "Photographer: Mack. Date: 1954-08-30. Reporter: Reay. Assignment: Rose Parade. 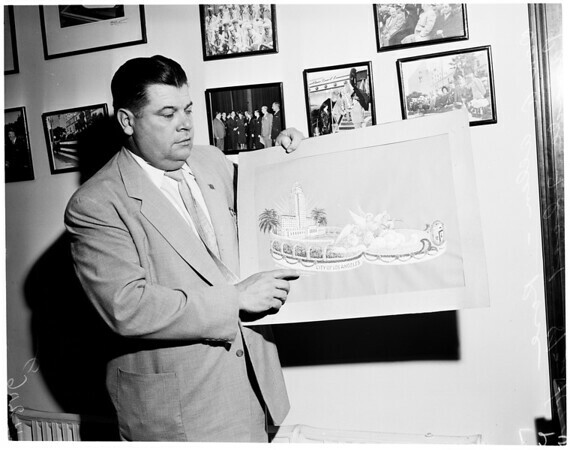 23/24: Don A. Allen and sketch of float".